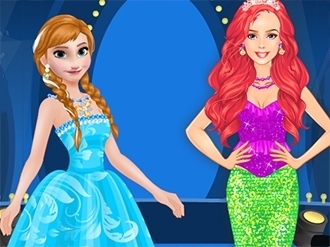 Today we have a fun contest, Princess Anna of "Frozen" and the mermaid princess Ariel, is fighting on the same stage for the well dressed Disney princess. Choosing clothes belongs to you and only you can who decides the winner. May the most beautiful princess to win! The both princesses are looking to shine today, they must to have a perfect look. You are the only one who can help them, choose the best clothes and makeups for our beautiful blonde princesses. Good Luck! Hello, Ladies! 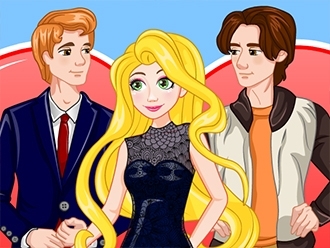 Help this modern Cinderella get ready for the big party. She dreams to win the ăprince s heart, so she has to look amazingly beautiful. Check out her elegant wardrobe and make the princess try on different combinations of clothes and accessoires. Choose your favorite one to make Cinderella look her best. Enjoy! 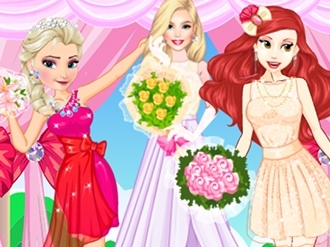 Play free game Fashion Rivals on bestgames.pk. In this ancient Chinese game you've to clear the board of stones without bringing down the whole pyramid! Mahjong is an ancient game that originated in China. It is a game of skill, intelligence, calculation and luck. The aim is to clear up the board of stones and not to bring down the whole pyramid! Mahjong is an ancient game that originated in China. It is a game of skill, intelligence, calculation and luck. The aim is to clear up the board of stones and not to bring down the whole pyramid! You can choose one of five pyramids to start with. They consist of 234, 164, 114, 64 and 40 stones. The quicker you clear the pyramid the more points you'll get. If you make a mistake you can press the "Back" button to undo the move. However, you can only undo one move at a time and you will loose the points you earned for that move. You've to remove the stones by finding matching pairs and Left Clicking on them but you can only remove those who have no stones on their left or right. Try to solve the puzzle completely and earn bonus points.